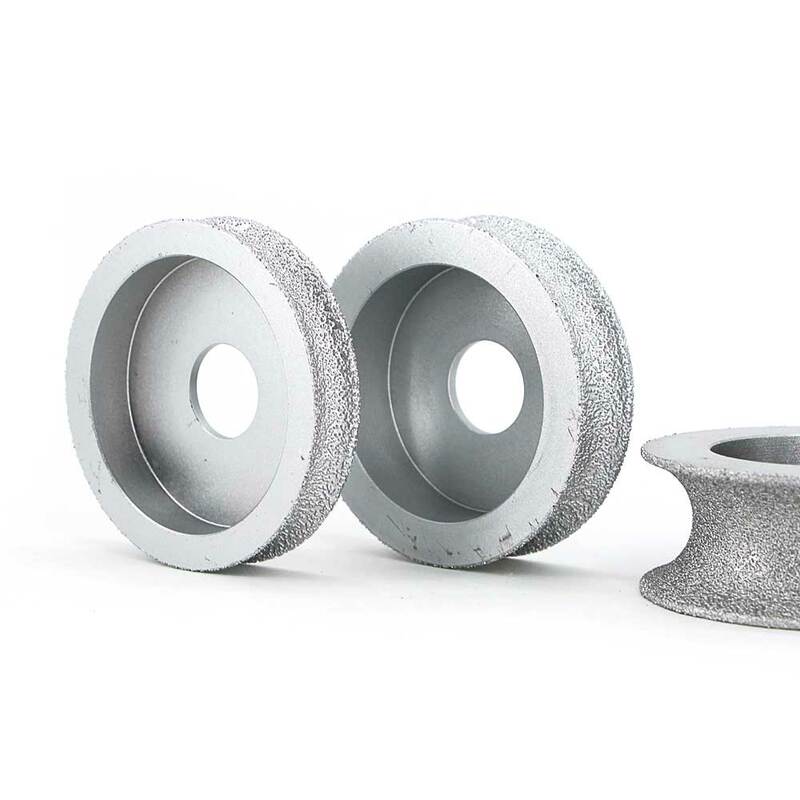 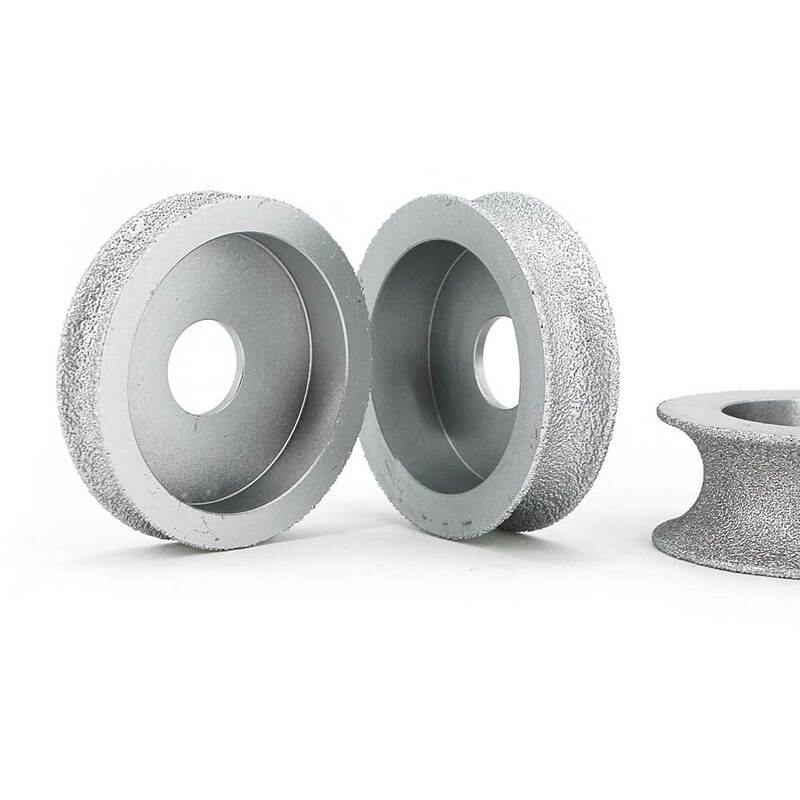 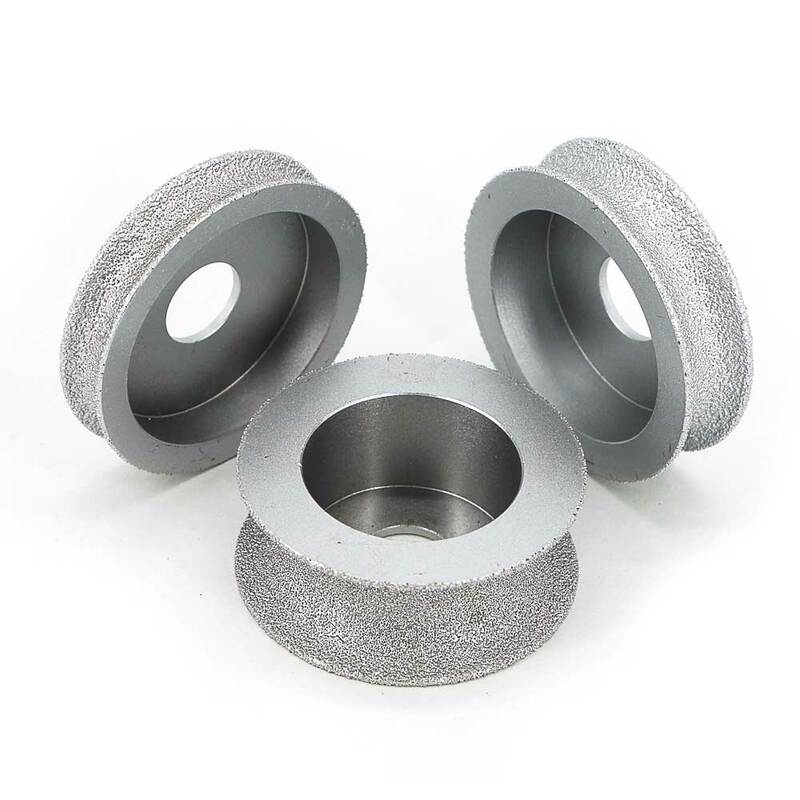 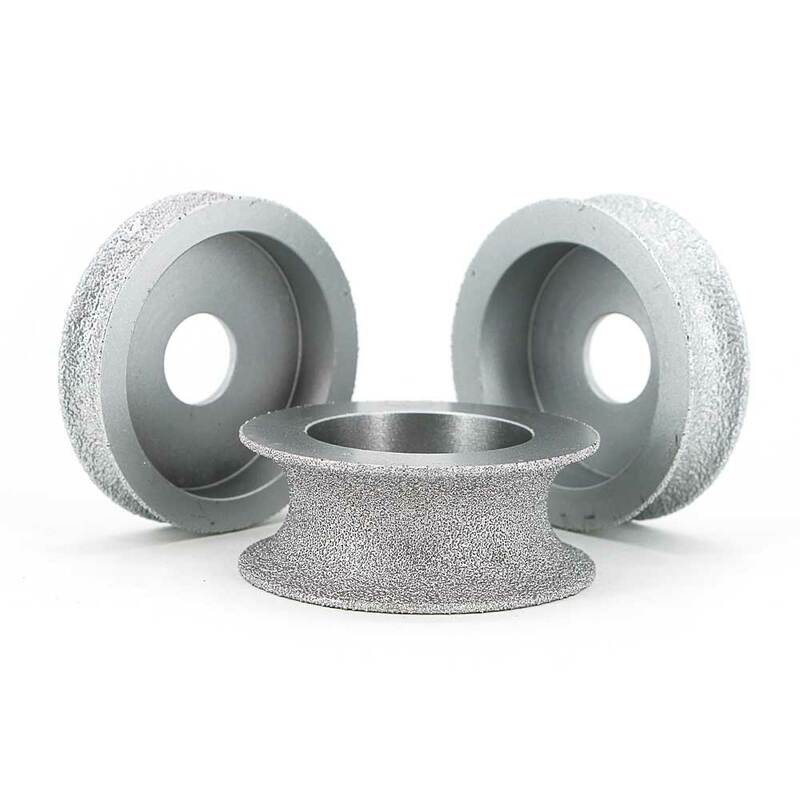 Brazed diamond concave grinding wheels are suitable for grinding quartz stone, marble, granite, ceramic, artificial stone and glass, etc., especially for building concrete exterior walls in decoration. 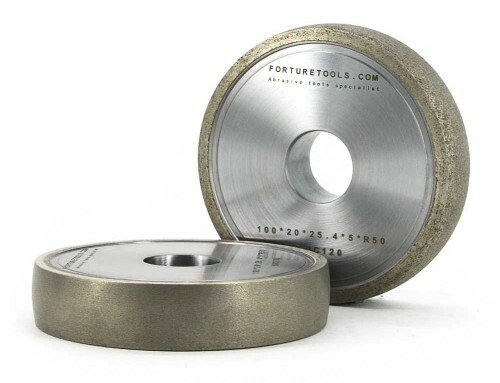 Floor leveling and grinding of edge, chamfering and arc for marble and granite decorative plates. 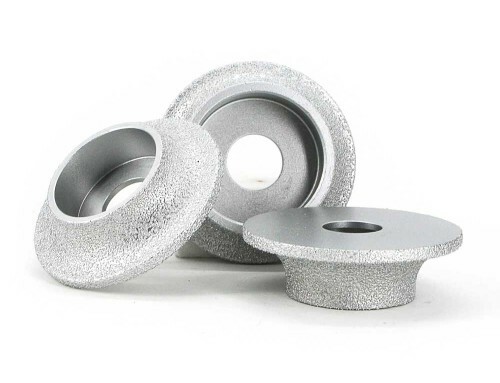 Diameter is 73mm,Hole is 20mm,Concave Diameter is 10mm,Wheel Thickness is 13mm. 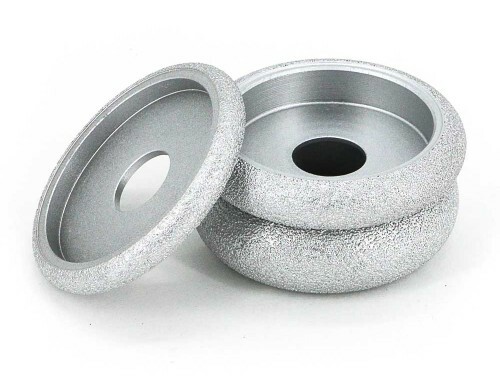 Diameter is 73mm,Hole is 20mm,Concave Diameter is 15mm,Wheel Thickness is 18mm. 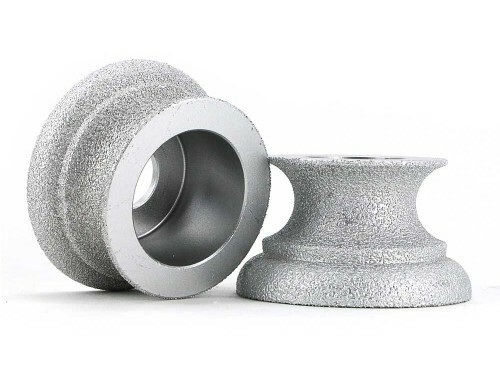 Diameter is 73mm,Hole is 20mm,Concave Diameter is 20mm,Wheel Thickness is 23mm. 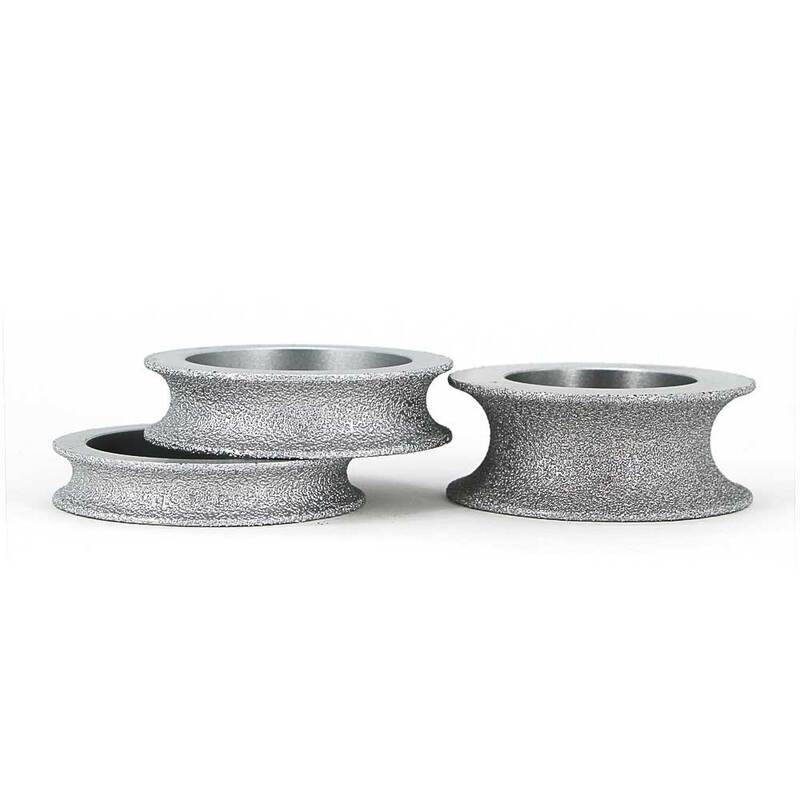 Diameter is 73mm,Hole is 20mm,Concave Diameter is 25mm,Wheel Thickness is 28mm. 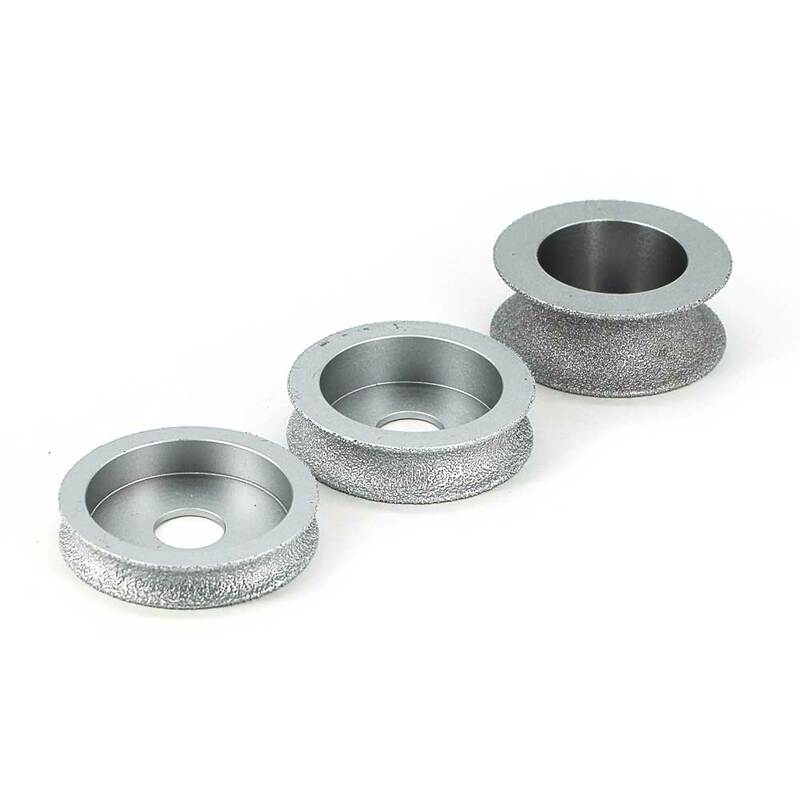 Diameter is 73mm,Hole is 20mm,Concave Diameter is 30mm,Wheel Thickness is 33mm. 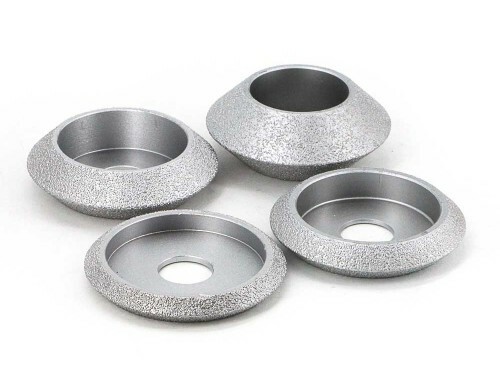 Diameter is 73mm,Hole is 20mm,Concave Diameter is 40mm,Wheel Thickness is 43mm.